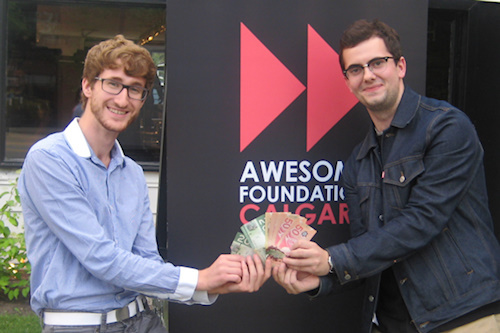 Second time’s the charm for the Calgary Creative City Collaboration (C4) as their Urban Stationary project has won Awesome Foundation – Calgary’s July 2012 $1,000 micro-grant. 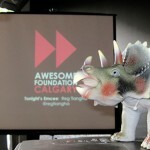 One of AF-Calgary’s Top4 Finalists in June, C4 did not win the June prize, but the group re-submitted their Urban Stationary project idea for July, made AF-Calgary’s Top4 short list again and was invited to re-pitch their idea to the Calgary Trustees. Representing C4 this month was Kai Sinclair and Alastair Pollock. The Urban Stationary project involves the creation of semi-permanent art installations on Calgary Transit stations with the help of local Calgary artists. The purpose is three-fold: Beautifying public transit spaces, making arts and culture more accessible to the public, and bringing exposure to local artists. While the project has already launched and is envisioned to run until the end of August, many of the funds to pull off the initiative have come out-of-pocket from the collective. The Awesome Foundation’s $1,000 grant will allow the collaboration to extend the program beyond the summer months into the fall and possibly winter by helping to pay for additional art supplies for more art installations around town, promotional materials and possibly small honorariums to the participating artists. Keep an eye out for various pop-up galleries and other installations appearing throughout the summer and beyond at various Calgary Transit stations and platforms around town thanks to C4. 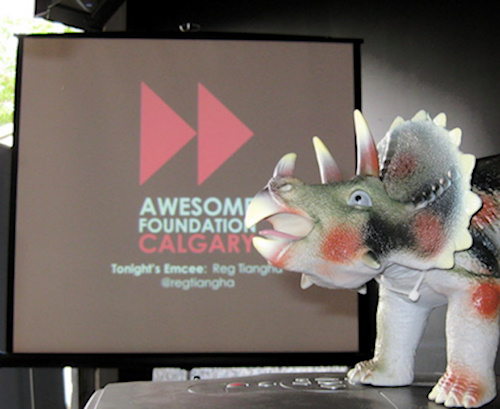 July’s Awesome Calgary Thousand Dollar Thursday also featured Dinosaurs, Iron Man, She-Hulk, Thor and Cowboy Kitten Voltron (as well as three other amazing ideas). 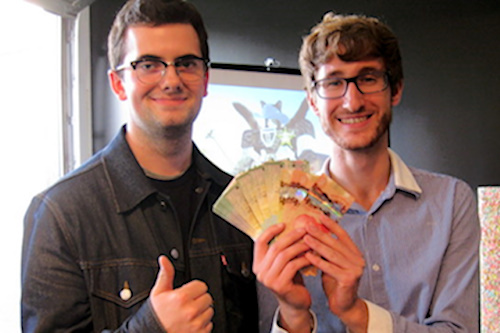 For more details, check out the recap on our blog.